No better way to start your day than joining Alan, Gavin, Moiré, Paula, Peter and Ray at the Slow Sessions. 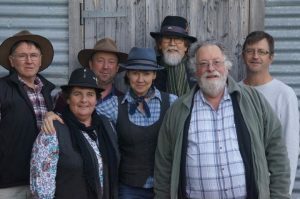 Over the years they have run dozens of sessions teaching traditional tunes, starting at the National Folk Festival in 2003, and now spreading their wings and strings to include a few festivals from St Albans to Cobargo. Whether you’re accomplished or a beginner, the focus is on fun and inclusion.